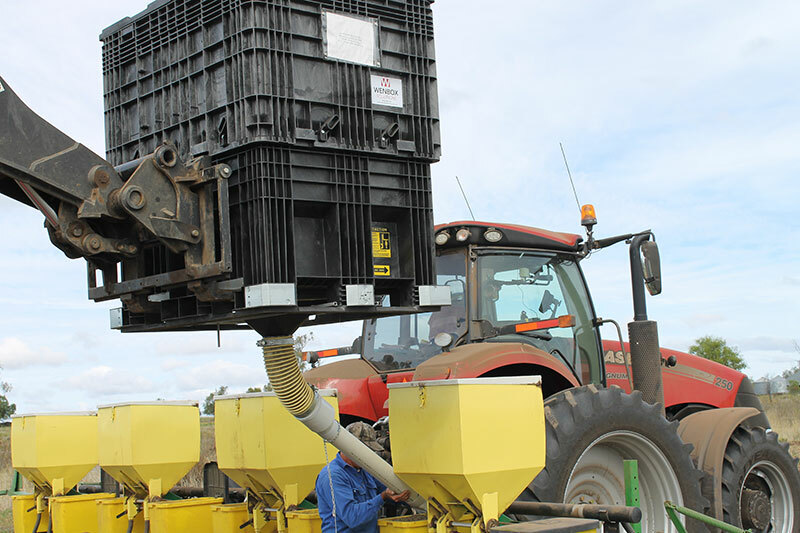 Wenbox Solutions endeavours to bring high quality, robust products to the Australian market. 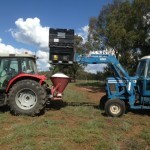 Wenbox Solutions is an Australian-owned small business based in rural Queensland. 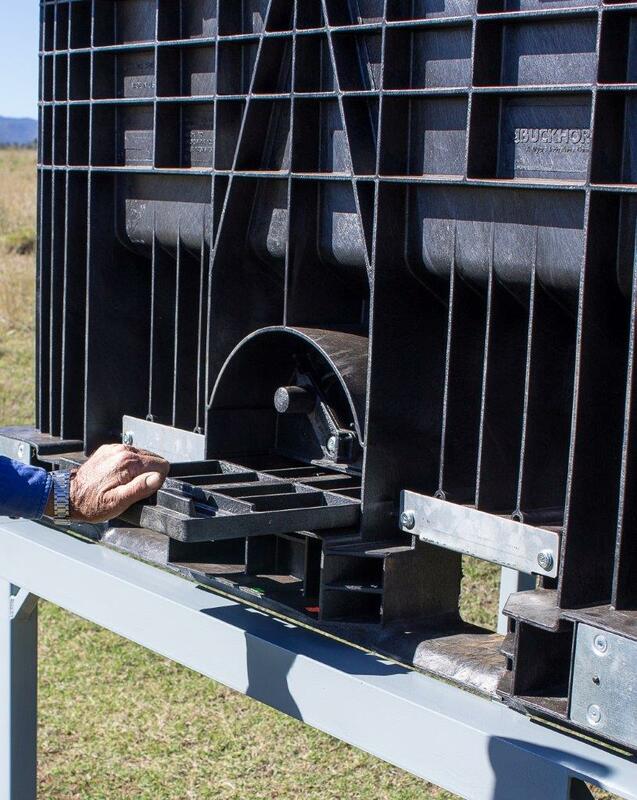 Graham and Wendy are cattle producers on the Darling Downs, and first saw the CenterFlow container on a farm while visiting the United States. 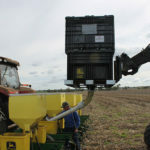 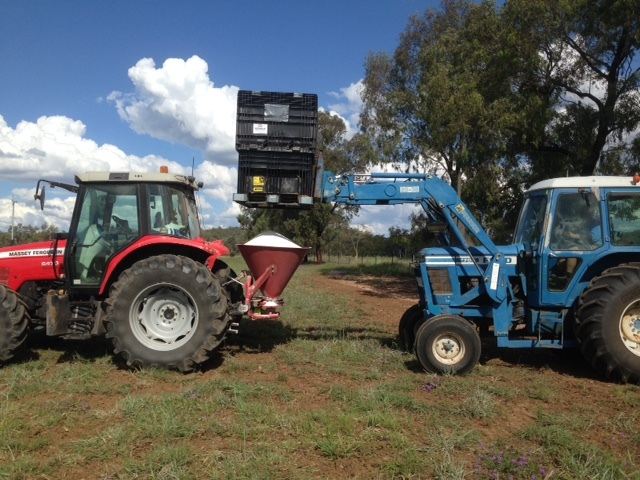 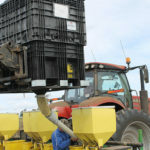 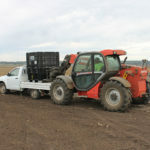 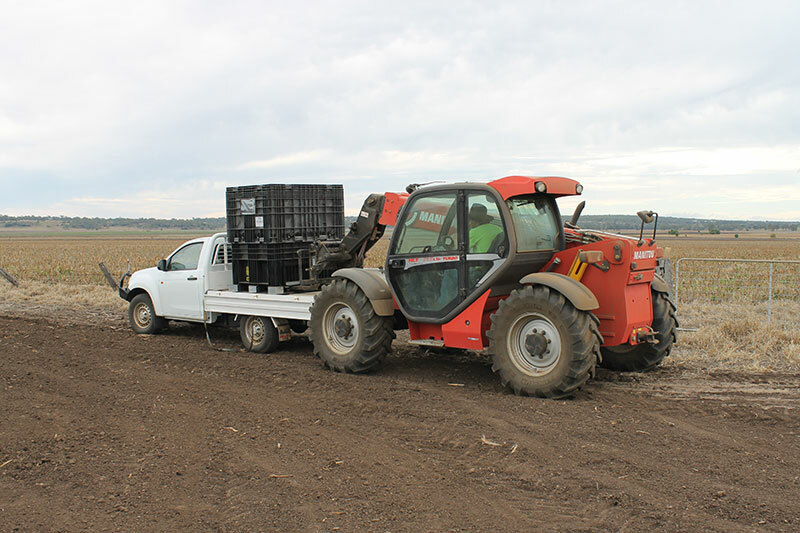 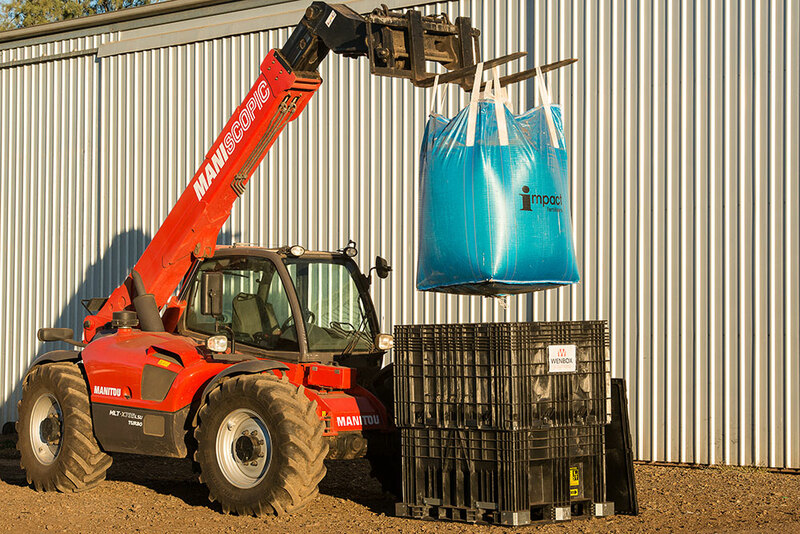 It was then they realised the potential for this product in Australia and how much safer it would make many tasks performed on farms, especially tasks that currently employ the use of a one tonne bag. 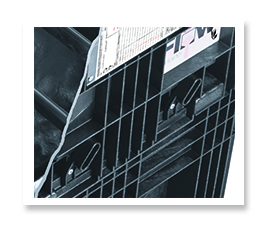 The CenterFlow’s usefulness goes beyond the agricultural sector and into industrial and food handling areas where it is necessary to store and move large amounts of product that is flowable. 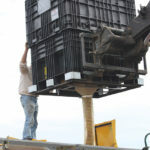 Wenbox Solutions is the only Australian distributor of the CenterFlow container, made in America by Buckhorn. 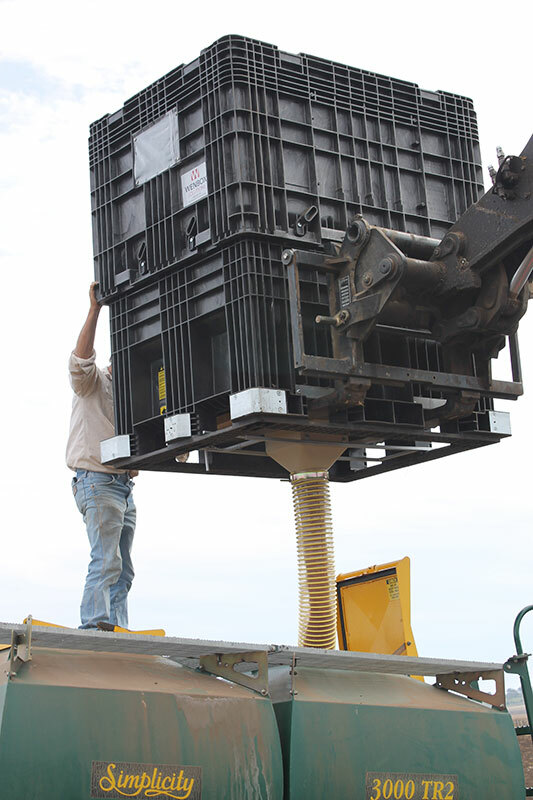 The reusable CenterFlow Container is the most efficient, versatile container available to transport and dispense seed, granular and pelletized materials, and small manufacturing components. 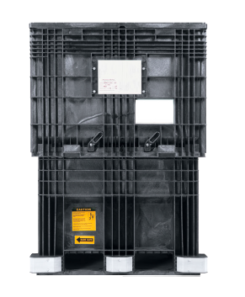 The CenterFlow Container features a smooth, sloped interior and a generous center exit port, which allows safe, complete emptying of contents in as quickly as 30 seconds. Its high-strength plastic construction handles loads up to 1,134 kg. 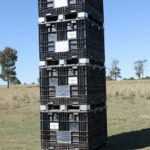 The containers stack and nest to eliminate wasted space; their modular dimensions maximize trailer cubing to reduce freight cost. 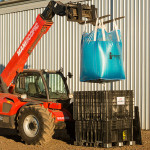 Thousands of units are now in use for bulk product distribution, where the unique design provides a safer work environment, saves hundreds of work hours in handling flexible bulk bags and reduces packaging and disposal costs. 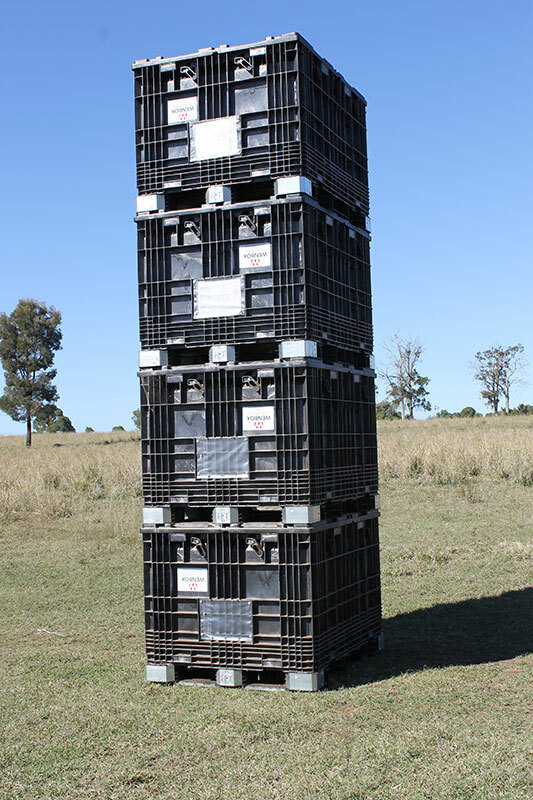 CenterFlow containers are available in Australia from Wenbox Solutions as a safer, more efficient way to move and store flowable products. 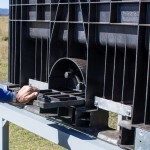 Lids and sliding discharge door can be sealed with security tags to prevent content contamination. 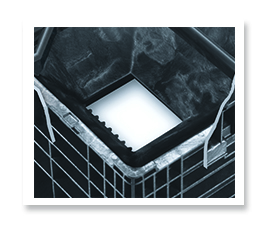 Lids give extra product protection against rain, rodents, dust, dirt and other contaminants. 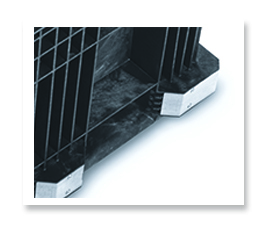 Lids feature reinforced ribbing and corner stacking supports. 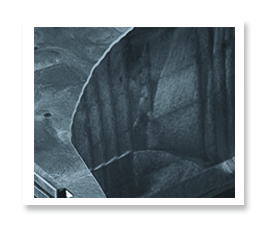 Ring section contains molded-incross members for additional lateral strength and reinforcement. 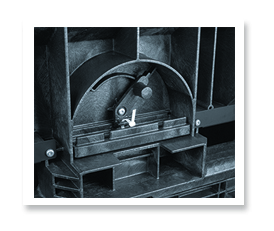 Interior of the base features smooth sides and funnel shape for complete emptying without tipping. 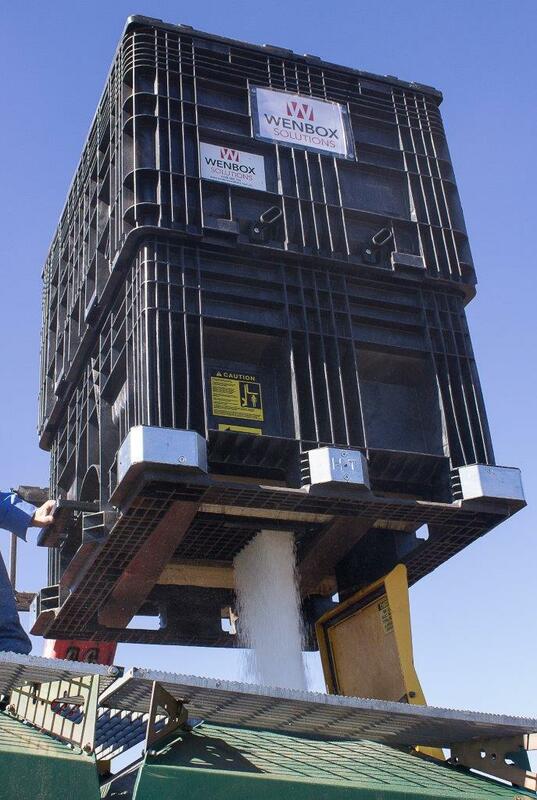 The side access door allows one person to control the flow and safely remove all or part of the container’s contents. 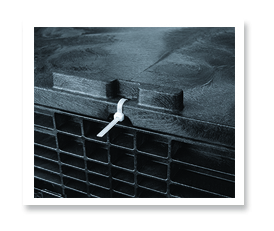 Easy-to-operate latch handle secures and releases sliding door. 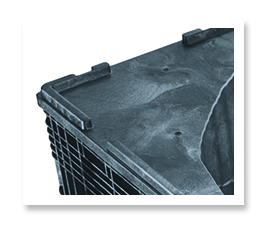 Molded-in eyes allow installation of additional security ties. 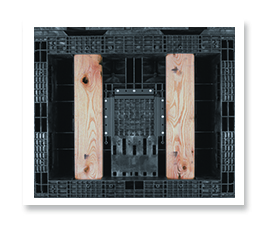 Solid oak base rails strengthen box and eliminate slippage on forklift tines. 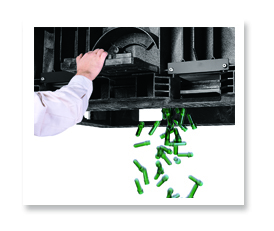 CenterFlow discharge port allows safe, quick emptying of part or all of the container’s contents. 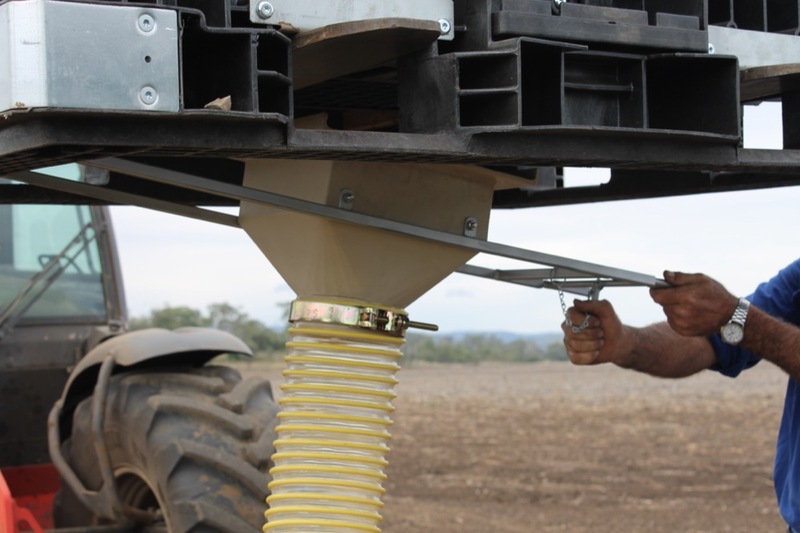 Latches securely lock ring to base. 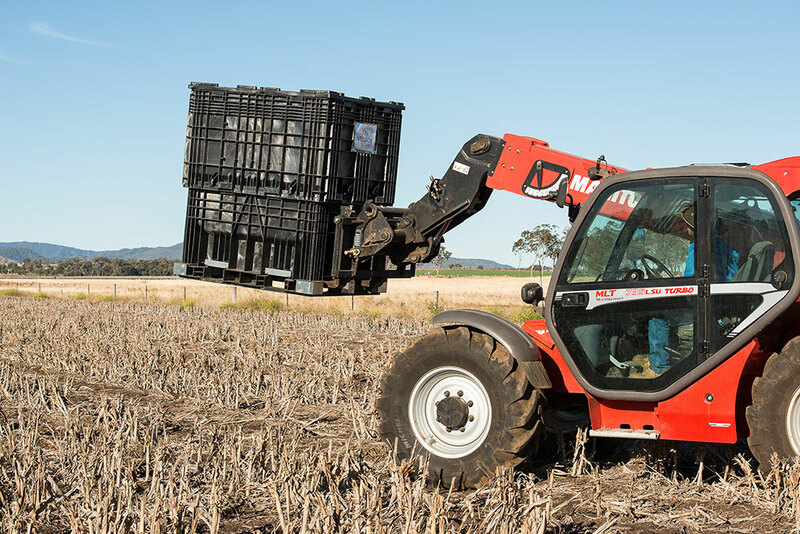 Containers feature four-way forklift entry and are pallet jackable for easy handling. 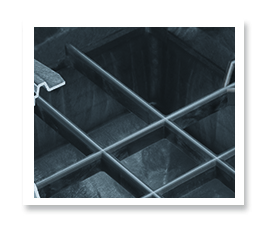 Steel plates deflect forklift tines and prevent spearing for extended utility. 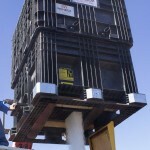 Reinforced feet allow CenterFlow Containers to be securely stacked four high. 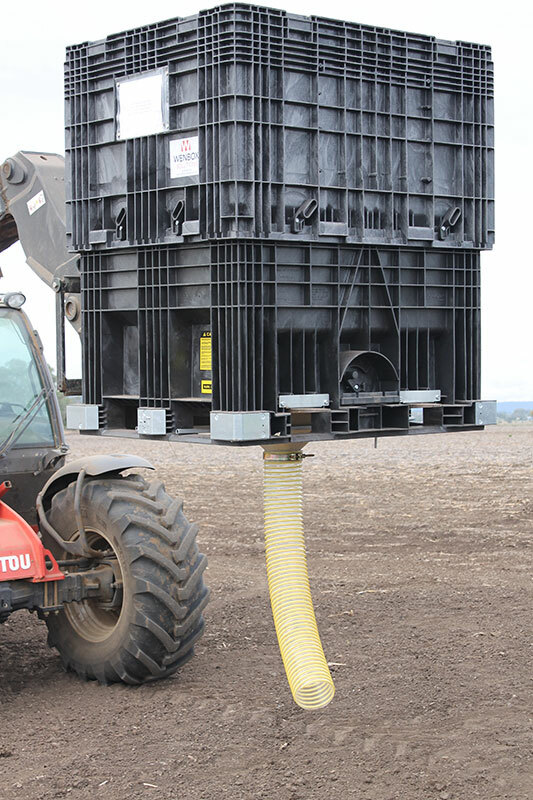 Removable ring inverts and nests over base for compact storage. 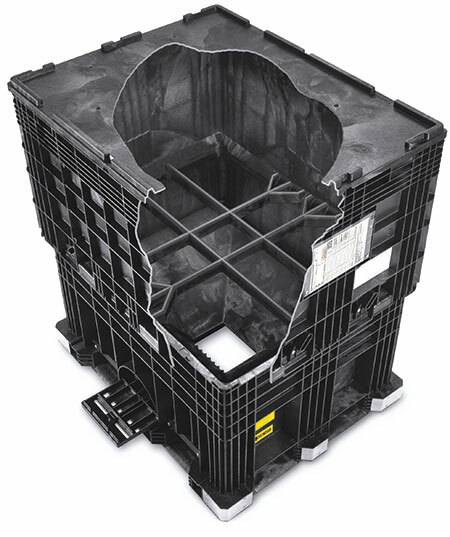 When nested, the CenterFlow Container takes up 40% less space. 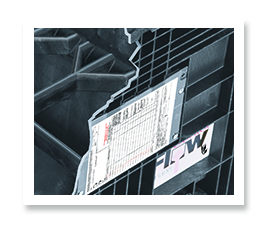 Clear plastic sleeves hold identification tags and forms. 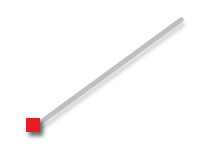 Two sleeves are standard, one each on the 1144mm ends. Other options available, see back page for details. 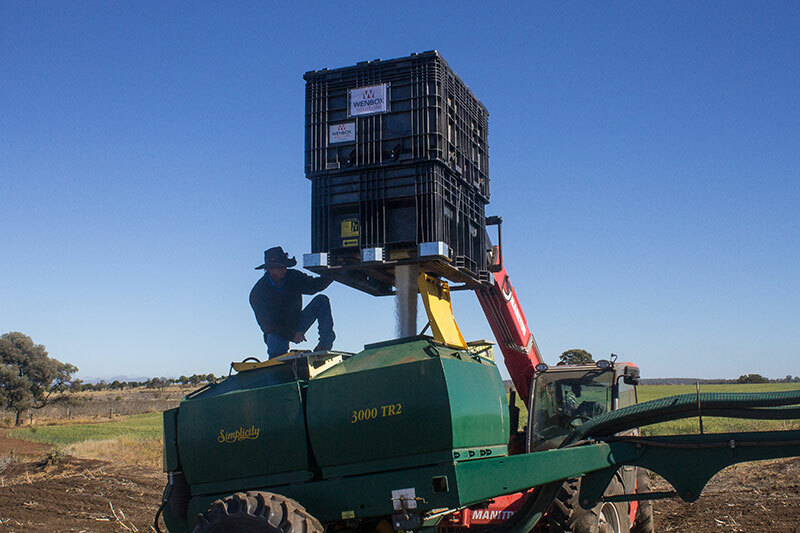 Container features guide lugs for easy stacking. 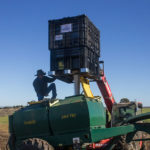 Maximum stack filled: four containers. 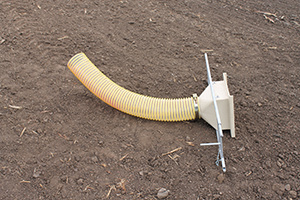 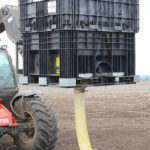 Wenbox Solutions has developed a delivery chute with optional hose attachment that allows seed and fertiliser to be transferred into farming plant with more flexibility. 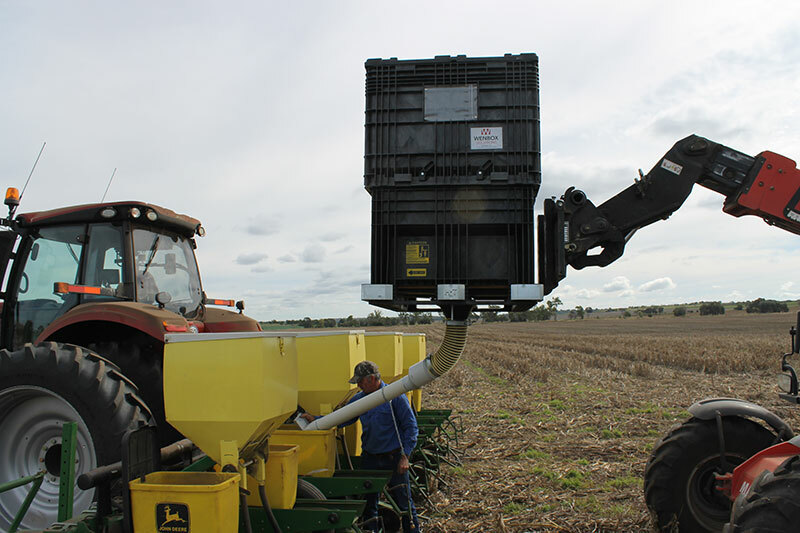 This option is ideal for filling bins with multiple openings as well as combines. 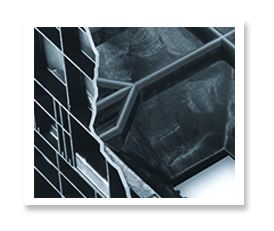 workmanship and/or material defects subject to normal handling procedures.